Some of you might have noticed some new, cool forces gracing our store section's cabinets this summer. 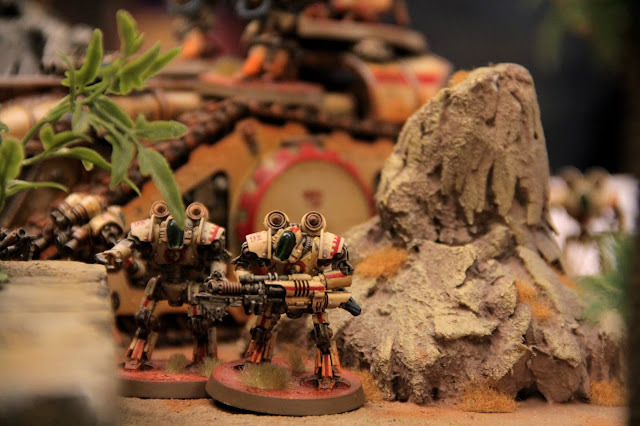 These are hand-picked highlights from our dear player community and from Fight Club combatants that have been kind enough to have us display their armies! This exhibition will now be accompanied by mini interviews to shed light on the artists behind these brilliant collections. These interviews are conducted in English because of our community's international flavour. First up is Horus Heresy enthusiast Sampsa! My name is Sampsa Lahti and I work as a ferry driver in various locations along the Saimaa area. Besides wargaming, I'm the stereotypical nerd with a love for various sorts of computer/console games, fantasy and science fiction. I first got into the hobby by buying the 'Assault on Black Reach' set with my brother - he took the Orks, I took the Marines, and we taught each other how to play. It's been a long and interesting road from there. Currently I have Salamanders and Necrons for 40K and Death Guard and Mechanicum for 30K, along with an Imperial Fists project I started some time ago. I tend to prefer army rosters with a durable, punchy unit or two as the core - typically heavy armor, like a Land Raider or Monolith - supported with more mobile 'troubleshooter' units. I especially like more flexible solutions over 'overspecialized' units. My fondest gaming memory probably is those first few games I played with my brother when we were both new to the game. Simple times and all that. He'd bought himself a Big Mek with a Shokk Attak gun, and I think it was around the second or third time he fired the damn thing that he managed to shoot the Mek at my Ironclad Dreadnought. That.. didn't end so well for him. What is your best tournament/campaign achievement? I'd say my best tournament achievement is winning the Best Painted award with my Death Guard at War Head 30K tournament! I tend to spend more time painting than playing and it's super gratifying to see people like my models. I wouldn't say I have an arch rival per say, although there is a certain Word Bearers player I've been itching to have a rematch with. More to the point, I have a very good friend who plays Heresy-era Emperor's Children - he's always entertaining to play with, and our typical army builds tend to be polar opposites of one another - it makes for very interesting matches. Who is your favourite character in the 40K lore? My current favorite character is Section Leader Crysos Morturg, a loyalist Death Guard officer from the Horus Heresy. He's a secondary character at best, but you have to give respect for a man who dug himself out of the wreckage of Isstvan III only to give Mortarion the finger. Dude just refused to lay down and die. 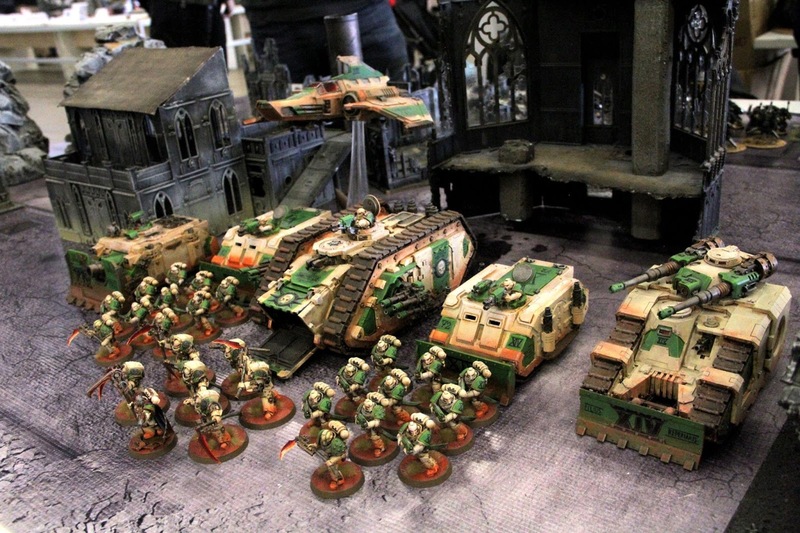 I like how in 8th edition, the 'power level' system lets you field units and loadouts in casual play that would've been suboptimal at best in the past - things like kitted-out squad commanders in particular were a huge point sink compared to the actual use you got out of them. 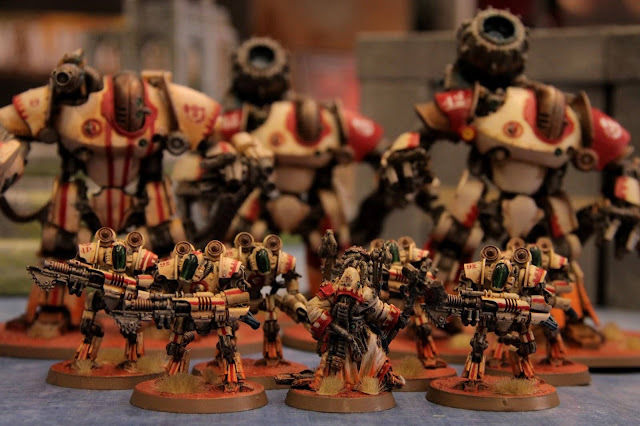 What I most don't like about 8th edition is more of a pet peeve - you can no longer put Dreadnoughts in drop pods, and my whole Salamanders army is more or less built around throwing half a dozen dreadnoughts in drop pods at the other dude! I've seven carefully painted drop pods that aren't likely to see the outside of the shelf in a while. Thanks Sampsa and best of luck to your future hobby endeavours!